This was the only film in the franchise I had not seen up until the gory marathon I had recently, so I didn’t really know what to expect. While much better than the last hunk of junk in this franchise, there is still a lot wrong with this one. But, it really is am improvement, forgettable at the end of it all, but better. It returns back to the fun aspect, and manages to weave some silly romance through it, too. At least it didn’t linger on this too long, but it did for long enough to get a bit annoying at times. The acting is a massive improvement over the last film, that’s for sure, and it looked better, though the effects are still not great, and still trying to hard to sell that 3D thing (check the gif above). I did enjoy the bridge collapse at the beginning, while heavily edited and not as good as the plane crash or the highway pileup, it is relatively impressive and gory, and such weird deaths, too. 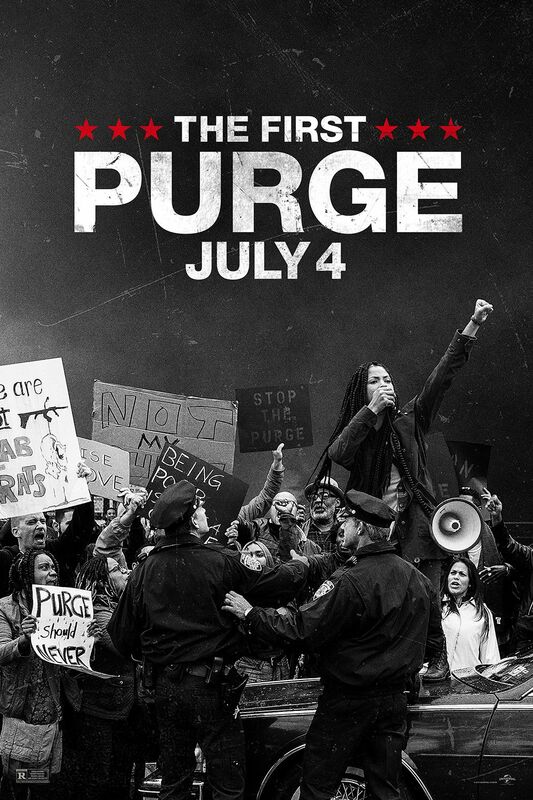 The movie follows the same formula as all the other movies before it, coming in with someone foretelling a crazy accident, warning others, saving some, and then the survivors start dying, and then everyone is trying to find a way to cheat Death again. It works. It’s just been done a million times, so it starts getting annoying. Bludworth is such a consistent character, and I like how he is always being brought back. 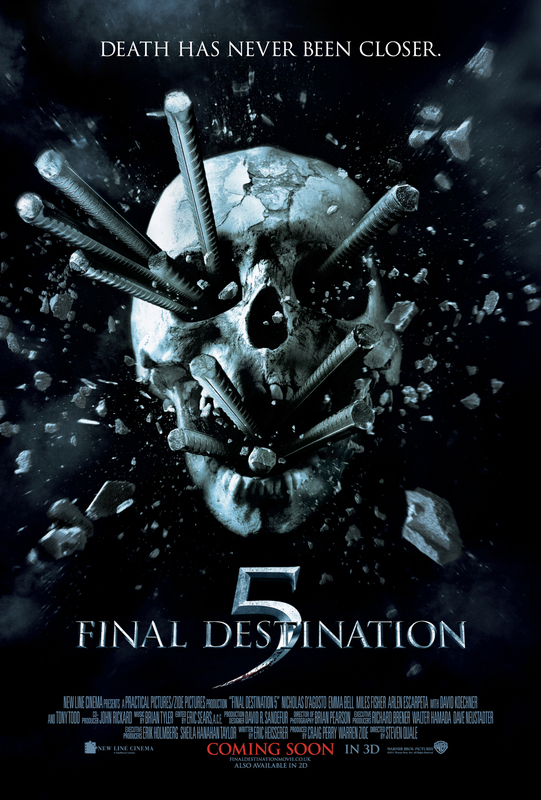 Final Destination 5 finds yet another potential way for the victims to fight Death and attempt to win their lives back, but it is not something that is a light decision to make for a simple solution. What I really did enjoy about this movie is how it successfully tied the entire franchise together neatly and cleanly, and did not feel like some rushed cop out, or some cheesy way to make a buck. It came full circle and handled that much better than most movie franchises, so I would like to give credit where it is due. Yeah, I don’t really have much more to say on this, so I think that will be it. Final Destination 5 is an alright watch and a decent entry into this series, that was doing mostly fine until The Final Destination came into play, but managed to close on a stronger note. These movies are worth checking out at some stage, and make awesome movie night material with friends/other halves, because there is just to much to rip off, have fun with, and laugh at. Definitely a return to form, and one I did not see coming. So it would seem that last week’s pile of crap film is the least liked. Thanks for those who dropped by to vote!